Gripes: Not exactly moisturizing, unhygenic pot, limited edition! Jenn's Rating: 2.5 Stars - Pass but "skippable" if you get what i mean! New! 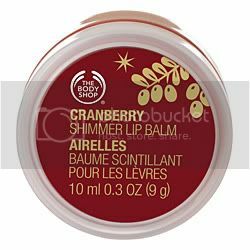 Best if you want to: Get mistletoe-ready using a moisturizing, glossy lip balm that leaves your lips soft and shimmering with a festive and fruity cranberry scent. Cranberry seed oil moisturizes skin. Community Trade organic beeswax conditions skin and helps to lock in moisture. Antioxidant vitamin E nourishes and protects the delicate skin on the lips. 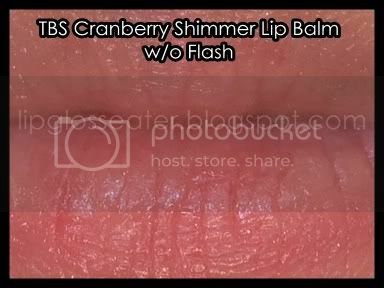 This balm spreads on smoothly without feeling heavy on the lips. This smells really really nice and yummy (it reminds me a little of Bubbleyum! hehe! ), which is the main reason why i bought this! Be warned though - this balm has the tendency to sink into the fine lines of your lips, so do exfoliate and apply a separate balm prior to applying this! 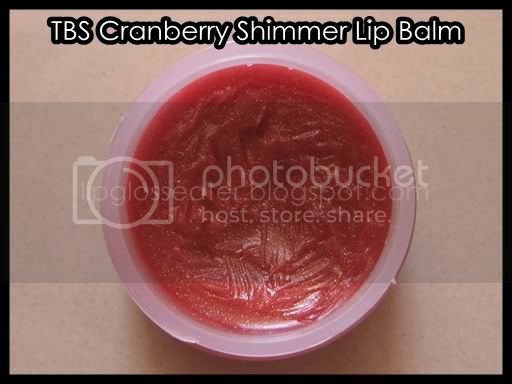 This lip balm looks scarily red in the pot, but it does give a lovely sheer rosy tint to the lips! 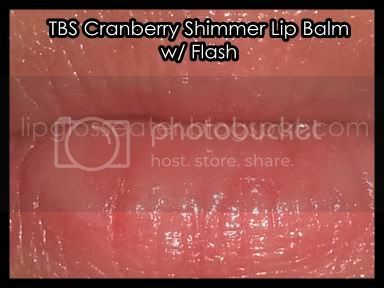 There're gold shimmers in the pot, but they're almost invisible on the lips! This lipbalm comes in a plastic pot that's slightly larger than a 50 sen coin with a screw off lid. 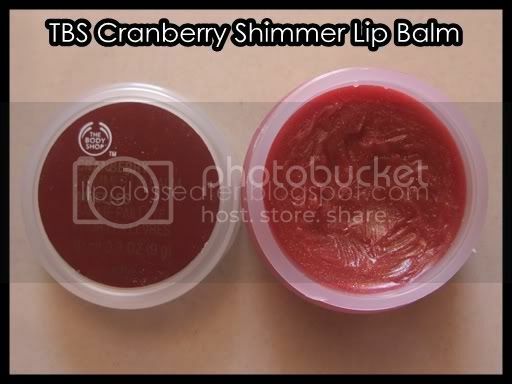 I really dislike balms that come in a pot because it's such a pain having to carry a separate lipbrush around. Don't even mention about sticking your fingers into the pot... that's just so GROSS!! I use this more as a lip tint than a balm, since it doesn't moisturize!! This LE balm is one of the most DELICIOUS smelling ones i've ever used! It's a real pity that while it did not dry out my lips, its not very moisturizing either! I have to wear a separate lipbalm under this, which totally defeats its purpose as a balm! Also, i HATED the pot it came in because 1, it is rather bulky and 2, it's not very hygenic!! If they'd change the formula and repackage this into a tube, i'd surely repurchase. For now, i'm off to find my HG lipbalm!! I agree with you. Great smell, but the thought of sticking my finger into the pot is just nasty. I hardly used mine because of this. 'Tis such a pity too. Tsk tsk.